While at Lignon Hill, taking a few breaths of fresh air from a 10 minute uphill walk at the entrance gate, we were faced with a dillema. Should we all go to the foot of Mayon and ride the ATV for a hell of an adventure or should we just stay at this hill trek and try to reach the top of the nature park which is 156-meter high. 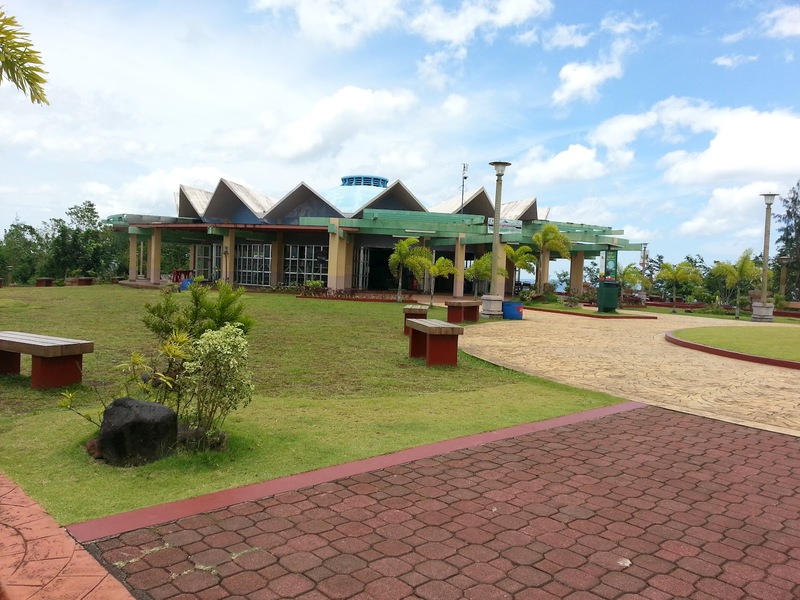 Ligñon (also spelled Lingñon, pronounced as /li-NYON/) has a lot of fun activities to offer. 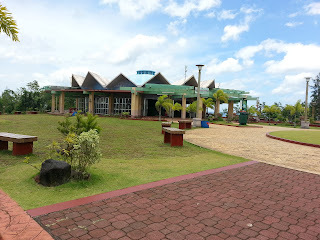 One is Kapit Tuko Trail (Lizard Grip Trail) – an exceedingly steep shortcut to the summit of Lignon Hill, this trail offers a taste of what it feels like to climb to the summit of Mayon Volcano in 5-10 minutes. 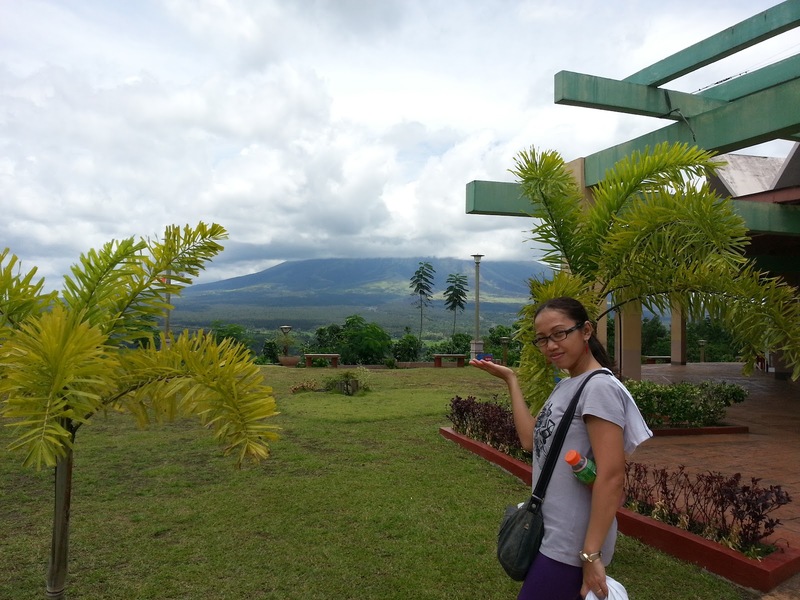 And the ATV ride to Mayon Volcano. 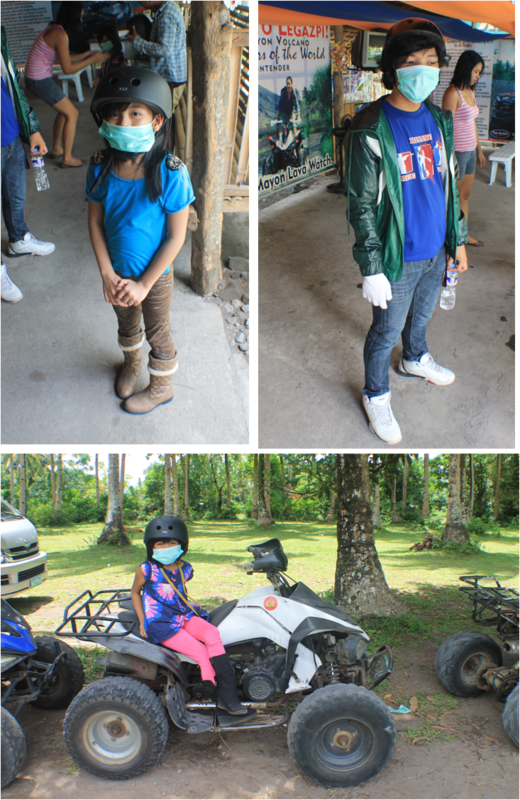 Here, my kids were geared up with helmets, dust masks and the girls fashionable boots, for a thrill of a ride up the famed volcano. The masks were from keeping dusts and ashes at bay. All-terrain vehicle, ATV for short is a like a quad-bike, a four-wheeled motor vehicle that is fast but a fun ride mostly for thrill-seekers. It's safe though the path is really rugged and rocky, as you can see my youngest girl was seated at his back. A helipad was built on top of Mayon Volcano's lava rock formation. This is just approximately 6 kms. away from the mouth of the volcano (epicenter). This helipad, is owned by Misibis Bay Tours. 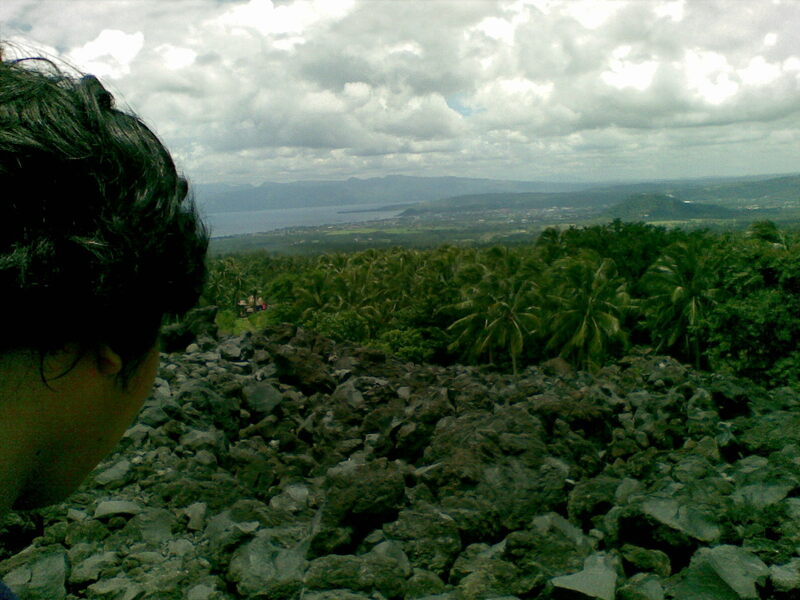 Darren looking at Lignon Hill from the lava rocks formed around Mayon Volcano.. ."where are you, Mom?" 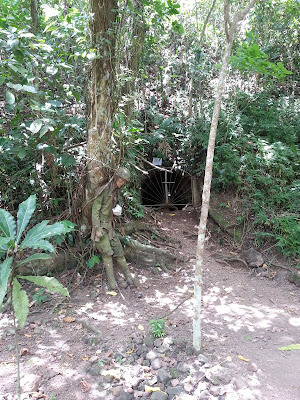 It was fun indeed, but let me share some must-do when trying to hit the trek up the volcanic path. First, make sure you brave enough (unlike me), and expect a bumpy and dizzying ride. There would be turns along ravines so do take extra precaution. 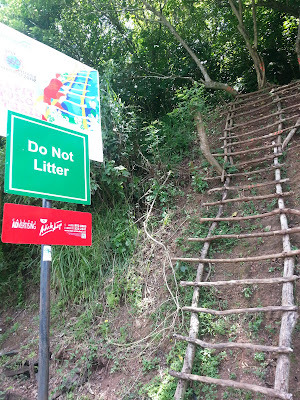 Also, you will come to a level where the ride would be steeper and slippery. Second, always start a day like this with a heavy breakfast. There is no fast-food or store on the path, only stones, ash and lava rocks. Third, there is a guide who also will be on an ATV. He will give you everything you should know about riding one and he knows the path by heart. Fourth, make sure you are loaded with bottled waters, there is no way you can get a drink without it. Fifth, bring with you hats or caps, towelletes and extra shirts. 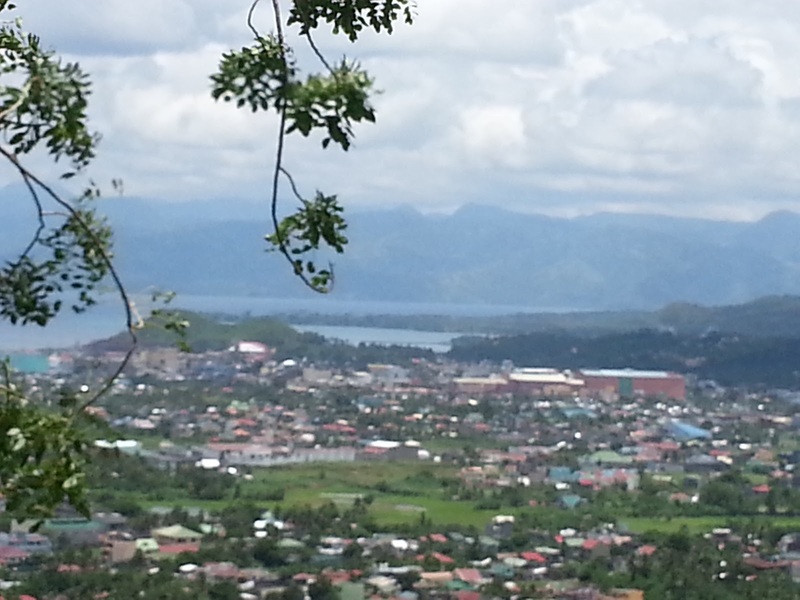 The park on the top of Lignon Hill. Why the boy in this journey was wearing a glove on his right hand??? Hi there, Alessandro! According to my son, he was trying to imitate Michael Jackson. Hehe, kidding aside, he needed to take control of the accelerator well and it was one way to protect his right hand.